Born in Winnipeg on 28 February 1910, son of Frederick H. Bole and Edith Richards, he attended Winnipeg schools then started his own business, Bole Feeds and Hatchery, in 1929. As a young man he excelled as an oarsman at the Winnipeg Rowing Club, Winnipeg the Canadian Association single sculls in 1929 and the British Empire Games double sculls (with his cousin Robert Richards) in 1930. He remained avidly interested in sailing all his life. He was a founding member of the St. Vital YM-YWCA. In 1988, he was inducted into the Manitoba Sports Hall of Fame. 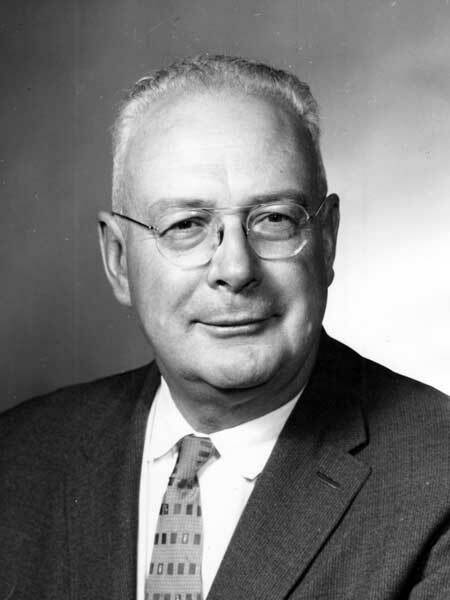 He served as a Councillor and Mayor of St. Vital from 1948 to 1951. In 1965 he became the first Executive Director of the then new metropolitan government of Greater Winnipeg. He also served as Chairman of the Public Utilities Board, the Assessment Appeal Board, and the Civil Defence Advisory Committee. He chaired the provincial Disaster Assessment Board that helped to flood-proof the Red River Valley in the aftermath of the catastrophic 1950 flood. He served as a Director of Ducks Unlimited from 1968 to 1970, and he served on the boards of the St. Amant Centre from 1953 and St. Boniface Hospital from 1966. In recognition of his community service, he received an honorary doctorate from the University of Winnipeg in 1974. He received the Queen Elizabeth II Silver Jubilee Medal in 1977. He died at Winnipeg on 29 May 1987 and was buried in the St. John’s Cemetery. Obituary, Winnipeg Free Press, 2 June 1987. “Elswood Bole” Winnipeg Free Press, 3 June 1987.